Time for a blast from the past. 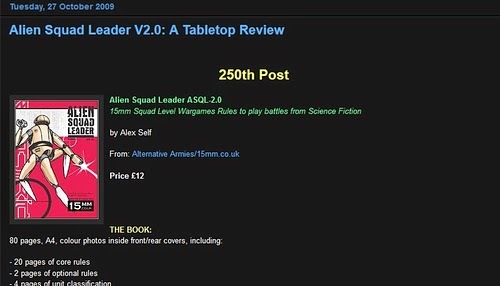 Since we released the new 100 Point pre-made army for Alien Squad Leader, ASL02 Human Colonial, a couple of weeks ago we have been getting asked if there are any online reviews of the game. Well there were but no recently so I set out to look for one and link it to here. I found the great review written upon release back in 2009 by Mark Hannam who was the creator and owner of Dropship Horizon blog at that time. You can read it HERE. Mark had a copy of the book and gave it a very positive review after reading it. An experienced wargamer and at that time science fiction fanatic he lauded it in many ways examining it from many angles. If you are interested in Alien Squad Leader after reading the review then go to its page on our website and read more about it. 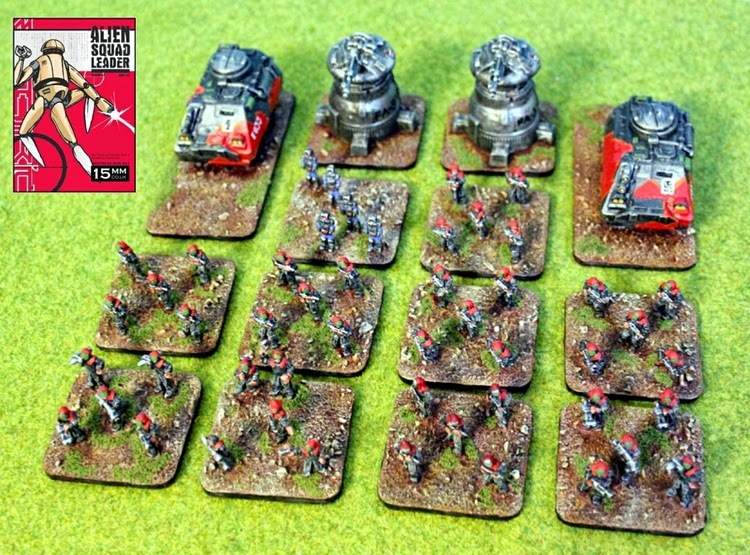 We are working on the next army pack for ASQL with the coming release this week being along those lines. I will give details at the time.